Rhodes College exhibits The Elephant Man — tastefully. A confession: I walked out of the McCoy Theatre's The Elephant Man desperately wanting to drive to Studio on the Square for a late showing of the Michael Jackson documentary This Is It. Jackson's story and that of The Elephant Man have been intertwined since Jackson toured the Royal London Hospital where he was shown the twisted, misshapen bones of Joseph Merrick, the "Elephant Man." In a 1993 interview with Oprah Winfrey, the King of Pop denied pervasive rumors that he'd tried to purchase the skeleton. Then Jackson, a reclusive plastic-surgery disaster who practically had been born on exhibit, confessed an affinity for Merrick, the tragic freak-show exhibit of the Victorian age. 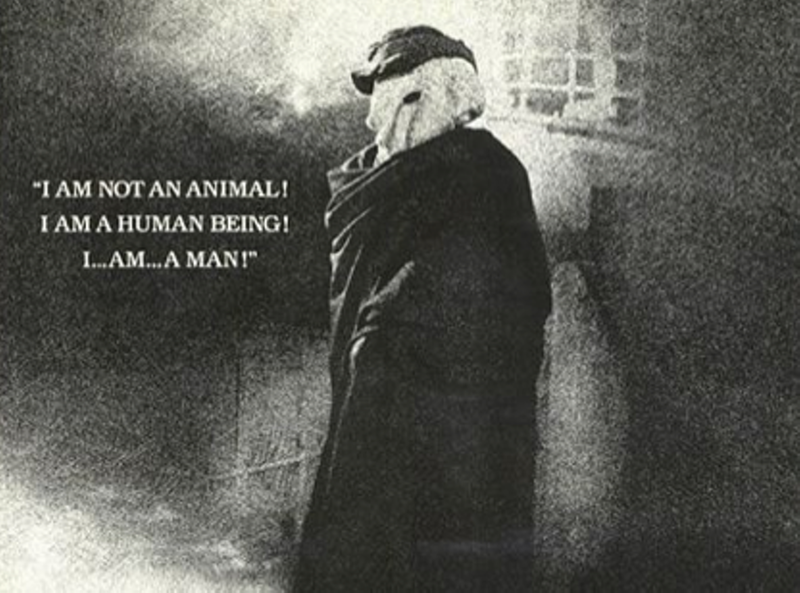 "I love the story of the Elephant Man," Jackson told Oprah. "He reminds me of me a lot." What's extraordinary about this admission is, of course, that Merrick's doctor, Sir Frederick Treves, noted that in spite of his hideous figure, keen intelligence, and romantic imagination, the Elephant Man had become a perfectly polished mirror. People who came to see him, whether they were royalty or rough trade, saw themselves reflected in Merrick's deformity and good nature. The fictionalized Treves in Bernard Pomerance's faithful stage adaptation of Merrick's story elaborates on the phenomenon, noting that nobody on the Elephant Man's visitor's list is really alike. Except, of course, for the fact that we all eventually become monsters. It's easy enough to find oneself reflected in director Leigh Ann Evans' thoughtful, if too introspective, staging of The Elephant Man. Ed Porter is particularly effective in the role of Merrick. Pitching his voice into a higher than natural register and twisting his body into an uncomfortable snarl, Porter has no need for prosthetics and projects his character's hideousness, physical pain, emotional yearning, and eventual complacency with incredible subtlety. Porter's physical commitment to the role is unfortunately not always echoed by his homogenous castmates who do honest work but are too rigid, even for England in the age of empire. If there is a crucial element missing from this production, it's proof that Treves was right in declaring us all different. Ross the carney (played by David Yarborough) doesn't seem that much different from Treves the doctor (Pieter Smith). And for an actor, one of the most fun parts of doing The Elephant Man is asking the question, What kind of monster am I? Alicia Queen is a commanding presence in the role of Francis Carr Gomm, the traditionally (and historically) male chairman of the Royal London Hospital who helps to facilitate Merrick's illusion of normalcy. The dynamic character actor could be much more than a presence, but there is an invisible barrier preventing her from fully engaging with Treves. Likewise, Madison Hannahs is excellent as the actress Mrs. Kendal who befriends Merrick and becomes his nurse and emotional confidante. Opportunities for a richer character study may have been missed, but Hannahs charms the audience as easily as she charms Merrick and shows Treves his own secret deformities. Laura Canon's set is very useful and very gray. It begs for actors to complete it, and it begs for them to be at least a little more colorful, animated, and engaged than they ultimately are. If, like me, the thought of capturing a pop-culture moment by watching The Elephant Man and This Is It back-to-back is irresistible, do it soon: The McCoy Theatre closes its run this weekend with a Sunday matinee.